The Sikh Temple of Wisconsin in Oak Creek, WI, was the scene of a horrific attack on August 5, 2012 by a crazy White gunman. The gunman opened fire on the Sikh devotees at the Gurdwara around 10:20am, killing six persons and injured three others including a police officer. In the exchange of gun fire with the police, the gunman was killed at the Gurdwara. The killer has been identified as 40-year-old Wade Michael Page, a U.S. Army veteran. The gunman lived in Cudahy, a short drive from the Sikh temple. The FBI is treating the attack as an act of domestic terrorism. 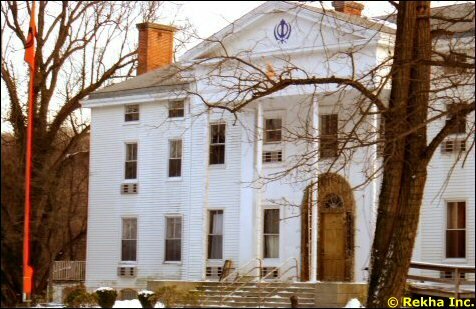 The Sikh Temple in Oak Creek, WI was built in 2007. It is a beautiful brick building where several services including weddings and recitation of Guru Granth Sahib (holy book of Sikhs) are performed. The Oak Creek Sikh Temple is the anchor of the 400 strong Sikh community in the neighbourhood. Sikhs are adherents of the monotheistic religion known as Sikhism. There are about 30 million Sikhs, most of them living in the North Indian state of Punjab. A 15th century Hindu saint Guru Nanak (1469-1539) is acknowledged as the founder of Sikhism. Sikhs are an enterprising people who have migrated in large numbers from India to Canada, USA, UK, Malaysia, Singapore and Australia. In the early years of the 20th century, many Sikhs migrated to the U.S., where they settled down as farmers in the central valley of California. Sikhs are also a martial race and large numbers have served with honor in the Indian army. The word 'Sikh' means disciple in Punjabi, the language spoken by the Sikhs. The holy book of the Sikhs is known as Guru Granth Sahib. Some of the well known Sikhs of the 20th and 21st centuries include Indian Prime Minister Manmohan Singh, late Indian President Zail Singh, the athlete Milka Singh, revolutionary freedom fighter Bhagat Singh, the writer Khushwant Singh and the terrorist Bhindranwale.